Home » General posts » What next? Now that Transgression is finished, aside for changes I might be minded to make following the suggestions of my editor, I need to start work on a new project. I began thinking about this some time ago but am still prevaricating. For a while I was keen to do something related to the events of 1916 in Ireland. It’s a part of the history of the British Isles of which I had only limited knowledge. I knew that there was a rebellion and that the British army put it down fairly quickly. I knew, too, that the instigators were subjected to a summary trial and executed. 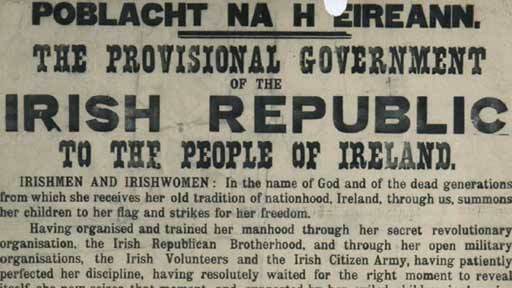 Their objective, a united and independent Ireland, was never achieved. Independence was, albeit some time later and only of 26 of the 32 counties. I also knew that this outcome led to a brief and bloody civil war and, almost 50 years later, to the “troubles” that plagued the UK throughout the 1970s and ’80s. I always thought the timing of the rebellion puzzling. Likewise, the reaction to the punishments meted out to the leaders surprised me. The country was at war, insurrection was bound to be seen as treachery and, in war, traitors, if found guilty, are always executed. It is, after all, a punishment regularly utilised by Irish Republicans against those they regard as traitors, often without benefit of a proper trial. What I had not fully understood was the extent to which the timing was deliberate, chosen in the belief that Germany was well on course to winning the war and that, once she did so, it would be possible to negotiate for independence. I appreciate that hindsight provides far greater clarity than foresight. I also recognise that Patrick Pearce and his co-conspirators were not alone in the belief that by the spring of 1916 the war was drawing to an inevitable conclusion. What I do find inexplicable, however, is that anyone seeking a fairer society, founded on broadly socialist principles, could believe that a German victory would hasten the arrival of such a nirvana. The Kaiser and the rest of the German upper classes were fighting a war against the advance of Socialism. They had already conquered several previously independent nations in mainland Europe. It goes against logic to suppose that any of these would be granted anything approaching the autonomy they had previously enjoyed. The belief that a tiny part of the United Kingdom would be treated differently because a few native intellectuals had assisted in the achievement of a German victory requires a degree of optimism normally found only in infancy. I considered two possible approaches. One would be to suppose that Germany did, indeed, win the war and that victory was achieved before Christmas of 1916. Such a story would follow the activities of a group of dissidents in their attempts to overthrow the new German Empire. On reflection, I concluded that this would require a far deeper understanding of world history than I possess. The other approach would consist of a series of imagined interviews with the conspirators, seeking their views on the political events of the century since their death. I might still do that. But I awoke a couple of mornings ago thinking about two of the characters in Transgression. Because I have only included in that novel those aspects of their lives that are relevant to the central theme, there are huge gaps in their respective stories. Could there be a whole new novel based around events in their lives during the 1950s and ’60s? Is there a market for such a novel? What new insights into that period could a description of their perception of, say, nuclear weapons, the assassination of President Kennedy, the cold war and, continuing the theme of Transgression, the liberalisation of attitudes to sexuality and gender equality? I certainly feel better qualified to handle such matters since it is a period I experienced myself. Not that this precludes the need for research. I would need to read the accounts of others, in memoirs and biographies of the individuals involved. Perhaps I should begin by having one of them participate in a demonstration against nuclear weapons or in support of some other popular left wing cause. Here’s to the future, exposing more of the past. By franklparker in General posts on June 4, 2015 .